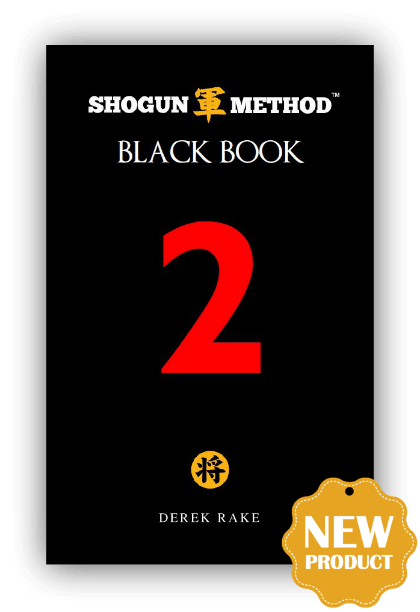 Shogun Method Black Book Volume 2 features never-before-released Shogun Method tactics engineered to enhance your abilities to control, dominate and enslave women emotionally! Module 1: Enslavement Mind Games. Featuring detailed strategies for "Emotional Blackmail", "You Owe Me" and "Gaslighting". Module 2: Yes Ladders. An old NLP technique given a fresh Shogun Method twist. Discover how to get compliance from your woman in less than 10 minutes. Module 3: Pacing + Leading. 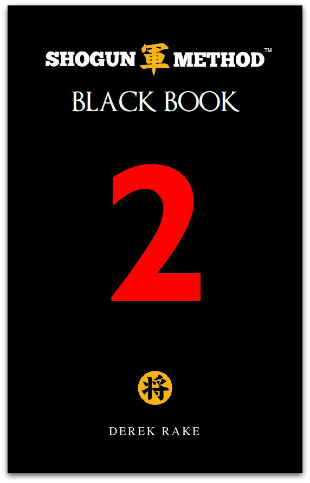 The foundational principle that powers up every single Shogun Sequence that you know. Module 4: Five Rapport Stage Mistakes. Avoid these five mistakes and you'll escalate from Rapport to Attract stage quickly and easily. Module 5: Advanced Value Elicitation. Use this proprietary Shogun Method technique to take a peek into her mind and know what she really wants in a man... so that you can be that man for her. "Emotional Blackmail" - women have been using this manipulative tactic on men for ages... now it's our chance to play this Mind Game back on them! Gaslighting - an age-old emotional manipulation trick enhanced and repurposed to be used as a killer Enslavement tactic. Apply a new "twist" to the Yes Ladder and turn it into a devastating Boyfriend Destroyer routine! "Value Elicitation" simplified into one, six-word question!